(NaturalNews) Did you or someone you know test positive for HIV? If so, they probably weren't told that they might test negative if a different test were used... or even if the same test were conducted in another country. HIV tests, as you'll see here, are a wishy-washy, pseudoscientific gimmickry that has unfortunately ensnared many innocent victims into a false AIDS diagnosis. 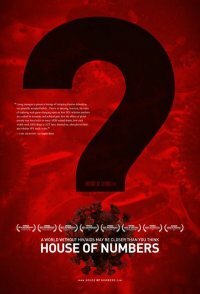 This is now being revealed in some rather shocking video footage released by Brent Leung, creator of the House of Numbers documentary (www.HouseOfNumbers.com) which tears apart the inconsistencies and dogmatic non-science found in the conventional HIV / AIDS industry. There, you'll see world-renowned scientists discussing the so-called "western blot," a highly subjective test that is now being used around the world to falsely diagnose people with HIV and, subsequently, AIDS. This western blot, as you'll learn below, is a spectacularly laughable test that seems to have been designed to make "positive" criteria as loose as possible in order to label perfectly healthy people as having AIDS. "I don't think the western blot is a useful diagnostic test. I don't think it's worth doing," argues Dr Robin Weiss in the video clip. Val Turner, an MD from Australia, adds, "It's ludicrous that you can be [HIV] positive in one country and not positive in another." Neville Hodgkinson, the Medical and Science Correspondent for The Sunday Times (London) adds, "Some people argue that we have a confirmatory test in some western countries, and that repeated testing can lead you to a safer diagnosis. But if the very basis of the test is faulty, then nothing works in fact. ...Because of the different criteria that apply in different countries, you can test HIV positive in one country and be given an AIDS diagnosis as a result of that, whereas in another country you won't test HIV positive and you won't be given an AIDS diagnosis." A full-blown AIDS patient will almost always show nine different "bands" on an HIV test. But in the 1980's, only one band was required -- P24 -- to diagnose someone as HIV positive (and subsequently having AIDS). The problem is that perfectly healthy people can also test positive for P24, even if they aren't HIV positive. "In the early days, people developed criteria that were too much like a screening test. So if you had just P24 [band], they might have called it a positive," said Robert Redfield MD, Director, Clinical Care and Research, Institute of Human Virology. Doctor Val Turner adds, "Many people were diagnosed using these criteria, and then it was realized that forty percent of people who are completely healthy have one or more western blot bands, most commonly a P24 band." A few years later, the FDA changed its diagnosis criteria for HIV, upping the requirement beyond a single P24 band. But people who had already been diagnosed as having AIDS were never re-tested! Dr Val Turner explains, "We don't know how many thousand people were testing using that western blot criteria before 1987, but ... shouldn't they all have been tested when the criteria changed in 1987 in case they were no longer positive? So there are probably people out there who would not be positive under the criteria which developed subsequently. Using the FDA criteria which existed before 1993, only 80 percent of AIDS patients had a positive HIV test, which means 20 percent were not positive." Brent: "When you're looking at this western blot, how do you determine what is a positive [result]?" Claudia: "You need a certain number of bands being present. It depends a little bit on the producer of the test." Brent: "It depends on the manufacturer?" Brent: "Is there a different criteria for what might be a positive?" Claudia: "Yeah, there are different criteria from the manufacturer." Manufacturers of the HIV test, in other words, differ in how they define a "positive." You might be "HIV positive" on one test, but negative on another. And the decision on which manufacturer's test to use is based on the opinion of the clinic, hospital or doctor ordering the tests. Astonishingly, this House of Numbers footage also includes a scene featuring two different HIV test lab technicians working in the same lab who disagree on the criteria for a positive HIV test result. While one lab workers says two bands are needed for a positive diagnosis, another worker says three are required. And they work in the same lab! But some scientists feel the western blot is not just a good test, but a great one! Robert C Gallo MD, Director of the Institute of Human Virology, says "This has a margin of error if done properly that's extremely low. In other words, it's one of medicine's better tests." One of medicine's better tests? Really? And yet it can be interpreted in different ways by different lab technicians, different definitions in different countries, different manufacturers and different medical opinions? The HIV tests, it turns out, is more a matter of opinion than scientific fact. And if you or someone you know has tested positive for HIV, maybe they should get a second opinion. Why not make the test more accurate? So why doesn't the industry tighten up its guidelines and require five, six or even all nine bands to show up before diagnosing someone as HIV positive? No one seems to know. I do, though. Isn't it obvious? The AIDS industry is much like the cancer industry in that it's focused on diagnosing as many patients as possible whether or not they actually have the disease. More patients equals more profits and a bigger "scare story" to feed the media propaganda machines. We already know that the AIDS industry fabricated evidence to try to exaggerate the scope of the AIDS scare (http://naturalnews.tv/v.asp?v=D35F0...). So it's not surprising they would be promoting a "loose" test that has already ensnared potentially tens of thousands of innocent people into a false AIDS diagnosis. Once a person is diagnosed with AIDS, you see, they become a profit generating machine for Big Pharma. AIDS pharmaceuticals are extremely expensive, and because they are protected under an FDA-enforced monopoly, they can be sold at practically any asking price. Even better, once innocent "healthy" people start taking AIDS drugs, they begin to show AIDS symptoms such as compromised immune systems. These are side effects caused by the drugs, not by the disease, but in the minds of doctors and patients, the emergence of these scary symptoms proves that "they really had AIDS." It's all just loopy, circular logic with a single purpose: To earn more money for Big Pharma at the expense of human suffering. Now, I'm not saying there's no such thing as a genuine person with immune deficiency. Thanks mostly to our toxic environment, there are certainly people who suffer chronic immune system malfunctions. But it is in the AIDS industry's interests to convince even healthy people that they are ill and need pharmaceutical intervention to survive. And, by sheer coincidence (not! ), today's HIV tests are specifically designed in a way that produces a disturbingly high number of false positives. Listed below are links to blogs that reference this entry: HIV tests a farce? False HIV positives produced by western blot tests. This page contains a single entry by Sepp published on September 9, 2010 4:36 PM. Janssen-Cilag applies for adult ADHD drug approval was the previous entry in this blog. Canada: A Question of Sovereignty is the next entry in this blog.